Literally translated to mean “golden flower,” chrysanthemums symbolize optimism, joy, and perfection. Literally translated to mean “golden flower,” chrysanthemums symbolize optimism, joy, and perfection. They’re the November birth flower, the 13th wedding anniversary flower and the official flower of the city of Chicago. 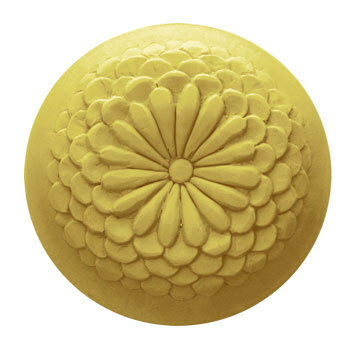 Carved with exquisite detail, the Chrysanthemum soap mold is perfect for the gardener. Common Uses: Melt & Pour Soap. Cold Process Soap. Lotion Bars.